What do you think of when you hear the word ‘scones’? Until recently, I thought they were something fancy but dry as dirt and tasteless. Not anymore. 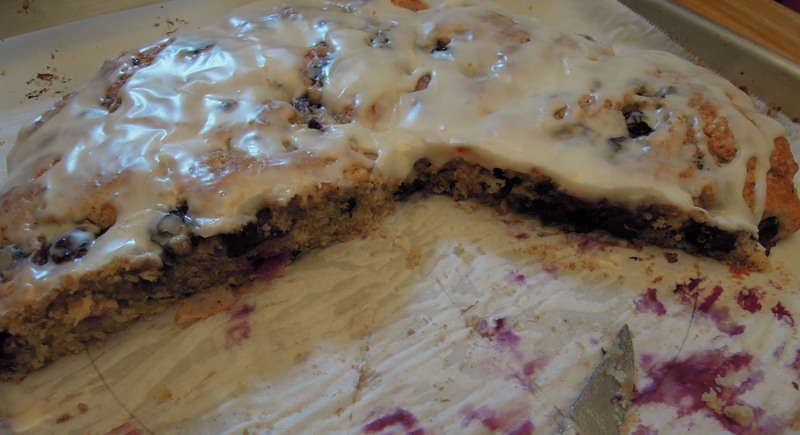 Did you try the strawberry lemon poppy seed scones I posted in May? 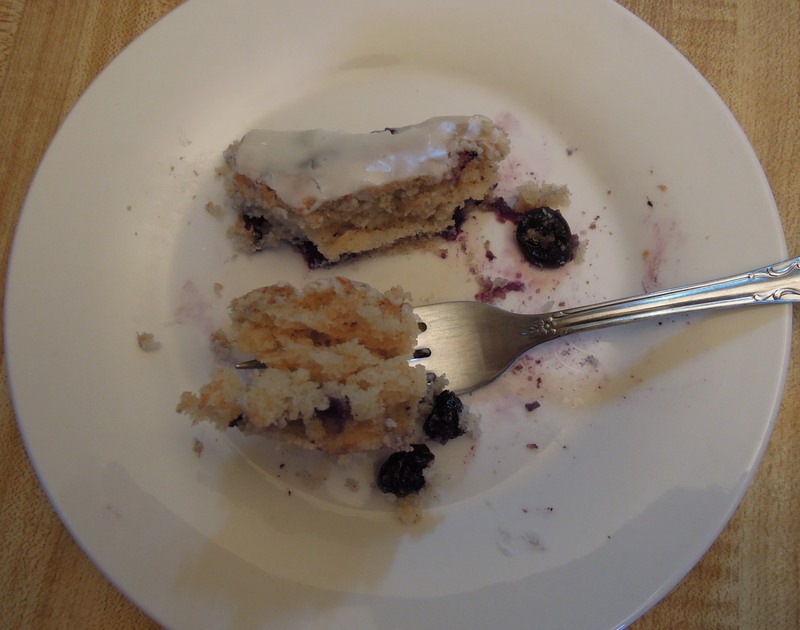 They were so good and taught me that scones could be something moist and flavorful. 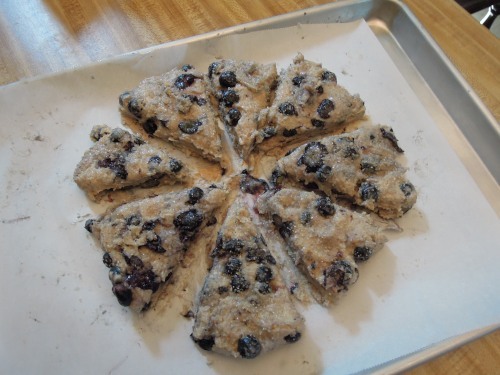 These blueberry scones are the same. 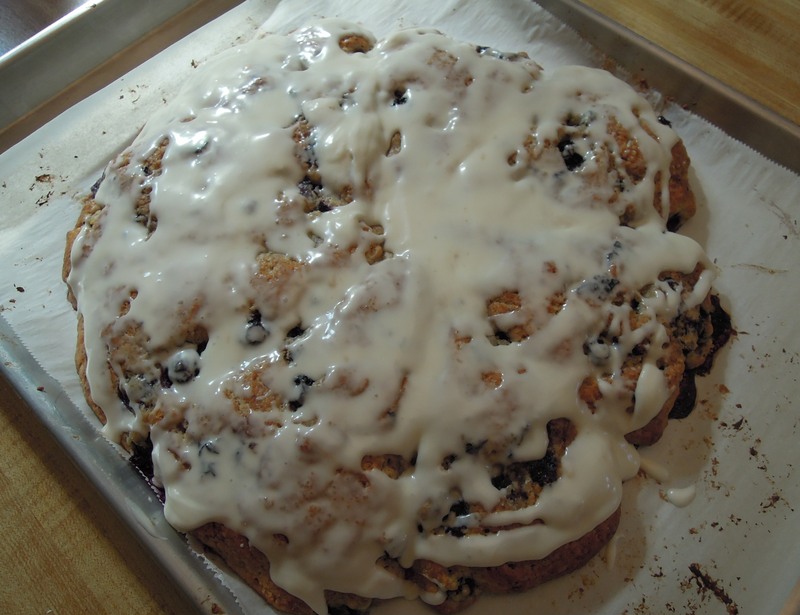 They are moist, tender, delicious, and bursting with blueberries almost like a good blueberry muffin. Adjust oven rack to lower middle position. Preheat oven to 400 degrees. Line a baking sheet with parchment paper. Tip: I trace an 8 inch circle in the middle of the parchment and turn the paper writing side down to help size and shape the dough later. 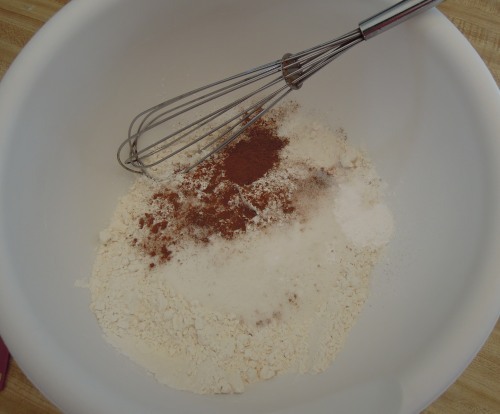 In a medium-large bowl, whisk the flour, sugar, baking powder, cinnamon, and salt. 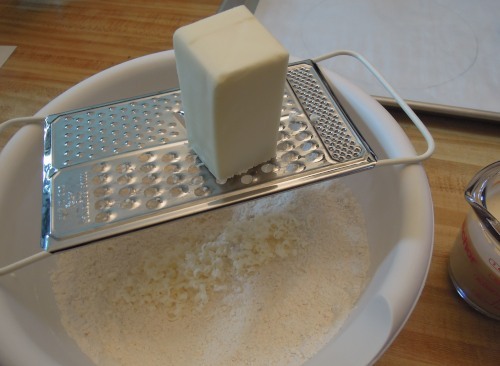 Use a grater to grate the frozen butter over the dry ingredients. 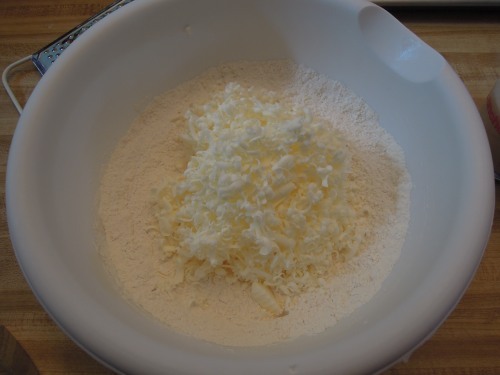 Toss the butter into the dry ingredients and combine with a pastry cutter, a fork, or your fingers until the mixture resembles coarse meal. 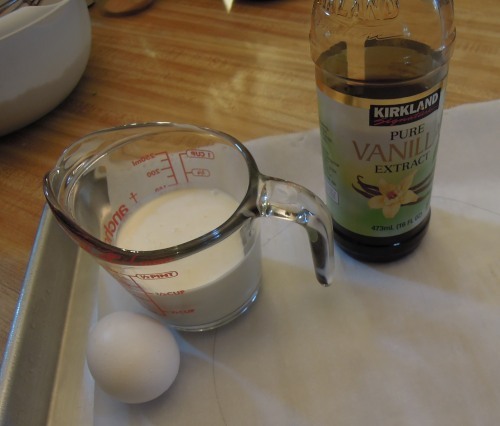 Measure 1/2 cup cream into a glass measuring cup. Add egg and vanilla and whisk together. Pour cream mixture over butter and flour mixture and then toss the mixture together with a rubber spatula until everything is moist. 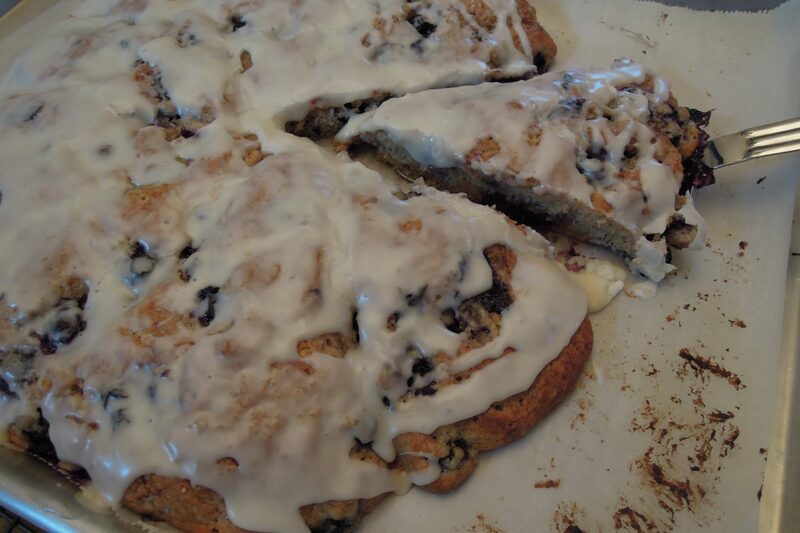 DO NOT OVERWORK the dough. 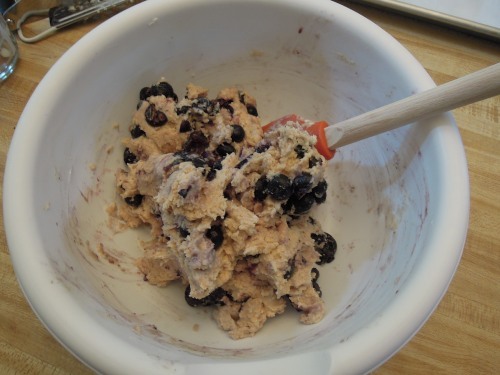 Slowly and gently fold in the blueberries. 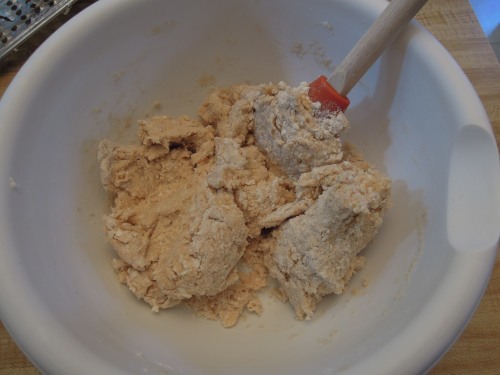 With floured hands, gently shape the dough into a rough ball and then dump it out onto the prepared baking sheet. 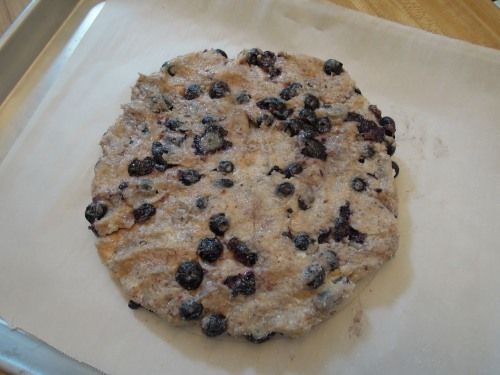 Press the dough into an 8 inch disk and then cut into 8 equal wedges with a sharp knife. Top with a few sprinkles of coarse sugar. Using the knife, try to separate the wedges so there is a little space between each. Scones are best eaten right away, but we have kept them covered at room temperature for 1-2 days, and they were still good. 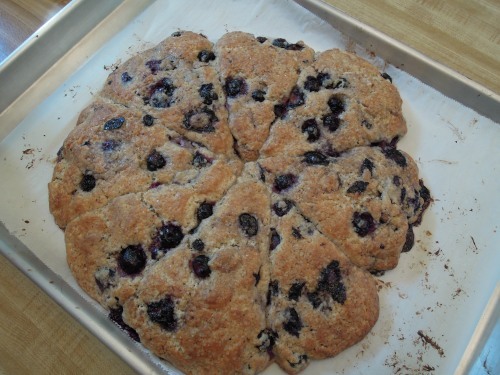 Next time I make scones, I’ll try this recipe. Any suggestions for add-ins besides blueberries? I think adding lemon with the blueberries would be good. I made a strawberry-lemon-poppy seed scone earlier this summer that was really good. Sally’s Baking Addiction has several other flavors I’d like to try. I’m planning to work my way through this list–the caramel apple look like they’d be fabulous this fall.